[S12] C. Arnold McNaughton, The Book of Kings: A Royal Genealogy, in 3 volumes (London, U.K.: Garnstone Press, 1973), volume 1, page 318. Hereinafter cited as The Book of Kings. [S12] C. Arnold McNaughton, The Book of Kings, volume 1, page 318, says 25 November 1935. [S213] "Unknown short article title", volume 8.6, page 20. 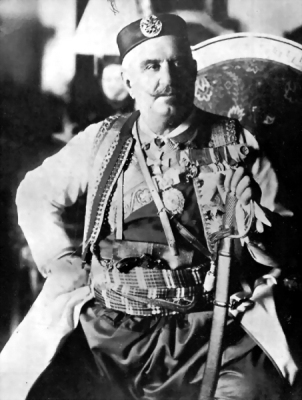 Nikola I Petrovic-Njegoš, King of Montenegro was born on 7 October 1841 at NjegosG. 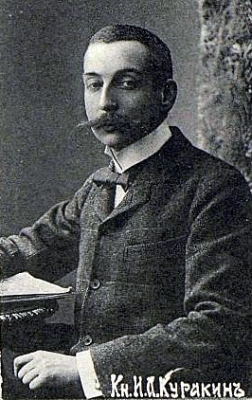 He was the son of Mirko Petrovic-Njegoš, Grand Duke of Grahovo and Anastasia Martinovich.3 He married Milena Vukotic, daughter of Peter Vukotic, in 1860.3 He died on 1 March 1921 at age 79. [S12] C. Arnold McNaughton, The Book of Kings, volume 1, page 319. 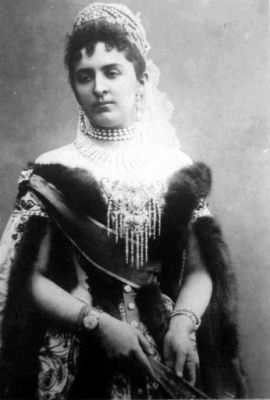 Militza Nikolaievna Petrovic-Njegoš, Princess of Montenegro was born on 14 July 1866 at Cetinje, MontenegroG.1 She was the daughter of Nikola I Petrovic-Njegoš, King of Montenegro and Milena Vukotic.1 She was also reported to have been born on 23 December 1867 at Cetinje, MontenegroG. She married Petr Nikolaievich Romanov, Grand Duke of Russia, son of Nikolai Nikolaievich Romanov, Grand Duke of Russia and Alexandra Friederike Wilhelmine von Holstein-Gottorp, Herzogin von Oldenburg, on 26 July 1889 at Peterhof Palace, St. Petersburg, RussiaG.1 She died on 5 September 1951 at age 85.1 She was also reported to have died on 15 November 1935.